With Ask an Angel Oracle Deck you can meet and commune with a host of safe and welcoming guides for higher insight, practical direction, and loving counsel. This lovely deck invites you into a peaceful space of love and light through the celestial artwork of Toni Carmine Salerno. The guidebook includes instruction on how to use the cards, information on twenty-eight angels and visionary card interpretations so you can receive spiritually conscious answers from your heavenly messengers. 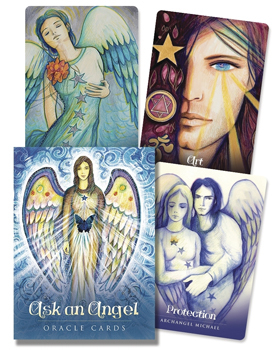 Now you can ask an angel for in-depth readings, self-awareness, and greater guidance.